Industrial automation solutions provider Fanuc UK has launched a new robot for cleanroom and food-handling environments. The M20iB/25C has been specifically designed to ISO Class 5 standards, bringing automated picking, packing and handling to applications for which hygiene and cleanliness are paramount. As well as incorporating Fanuc's popular drives and controls, including advanced servo technology - which can increase cycles and throughput - and integrated user interface, the robot has several additional features that meet cleanroom requirements. Cables and motors are enclosed in the body of the robot, making it suitable for full wash-downs with cleaning agents. The robot's white colour also reveals dirt or debris clearly, and uses an epoxy paint that meets FDA standard 21CFR 175.300. Additional features include axes that use food-grade grease, such as NSF H1, and bolted user taps to prevent the accumulation of water in the tap holes. 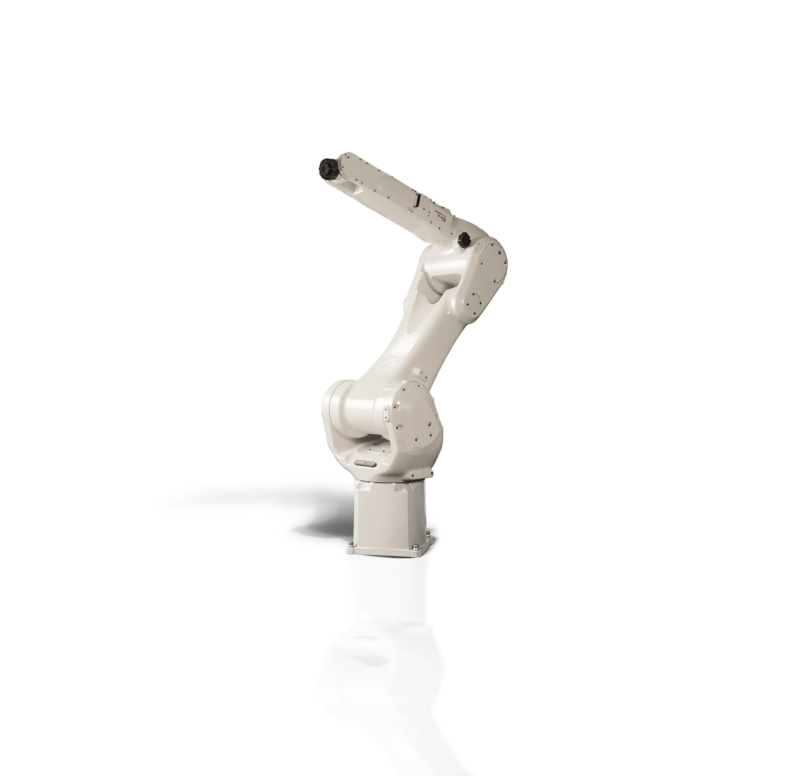 The robot's slim arm design, which prevents it from interfering with peripheral devices, has a maximum payload capacity of 25kg, and a reach of 1853mm. Sales and marketing manager Andrew Armstrong said: "For any business handling pharmaceuticals or food, cleanliness and hygiene are always paramount. This does not mean, however, that the doors to automation are closed. The M-20iB/25C is one of many Fanuc robots designed to meet the exacting standards of the cleanroom environment, while maintaining the high repeatability, accuracy and reliability for which the entire robot range is known."